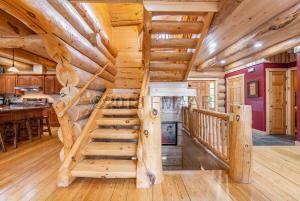 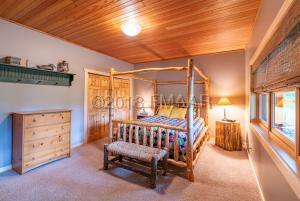 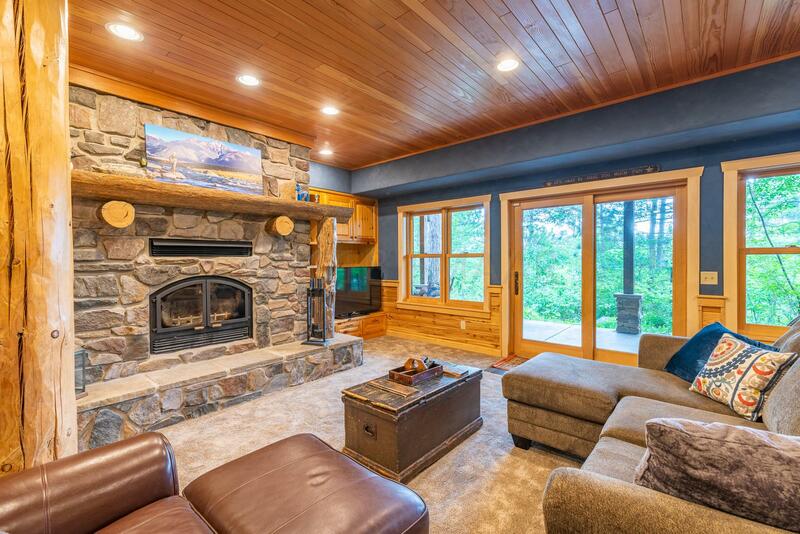 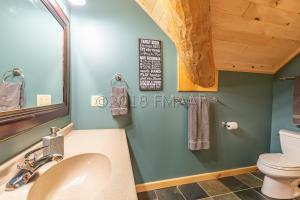 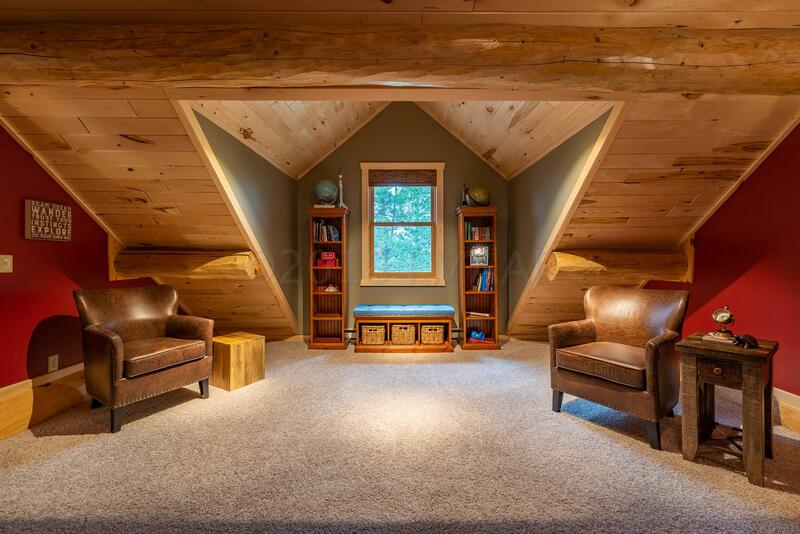 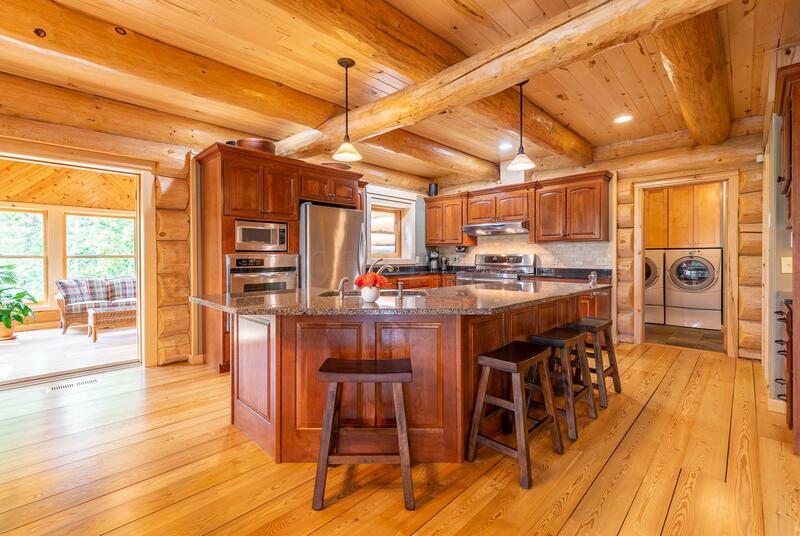 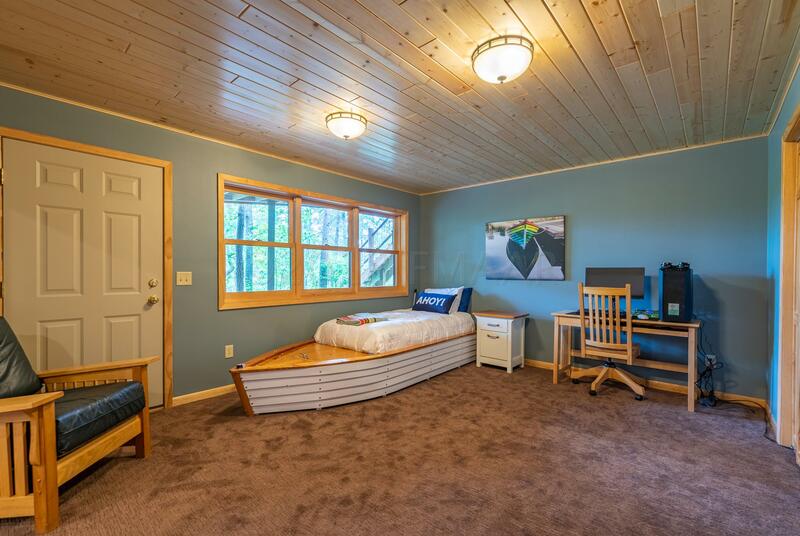 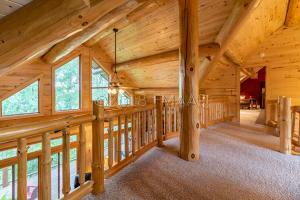 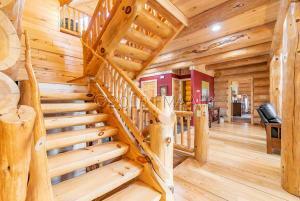 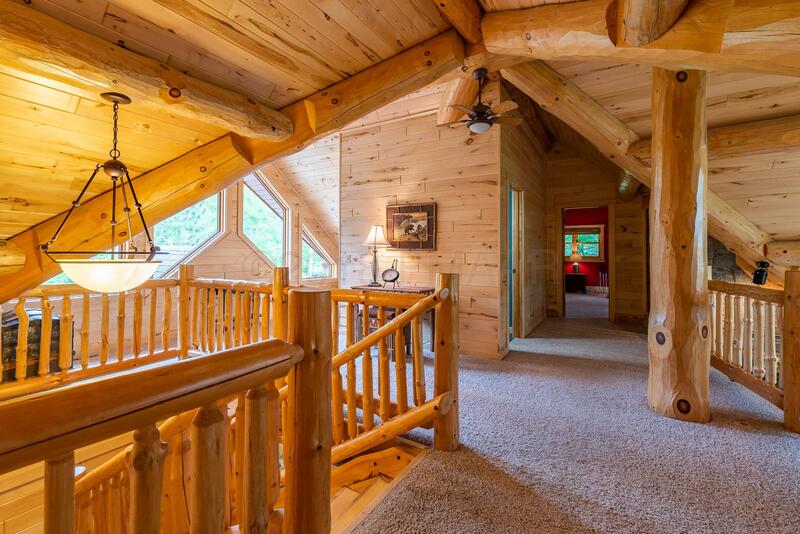 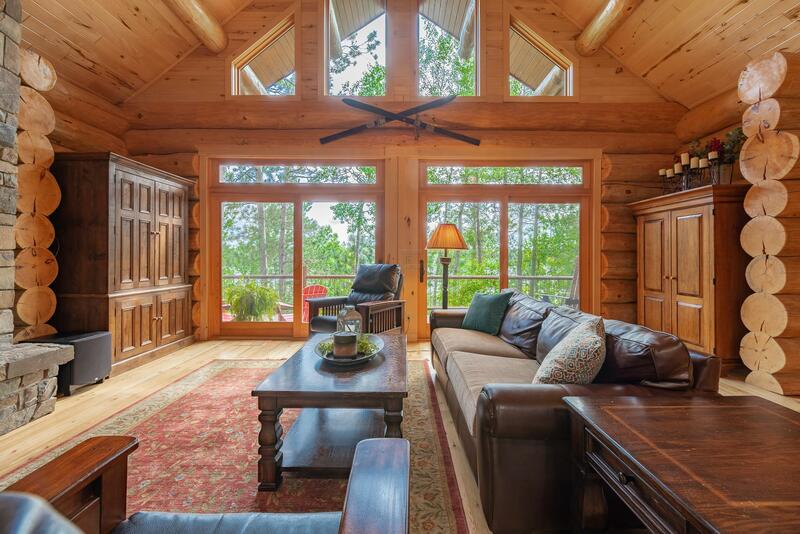 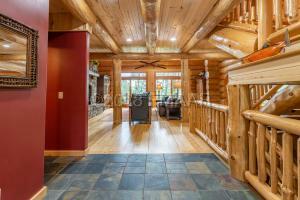 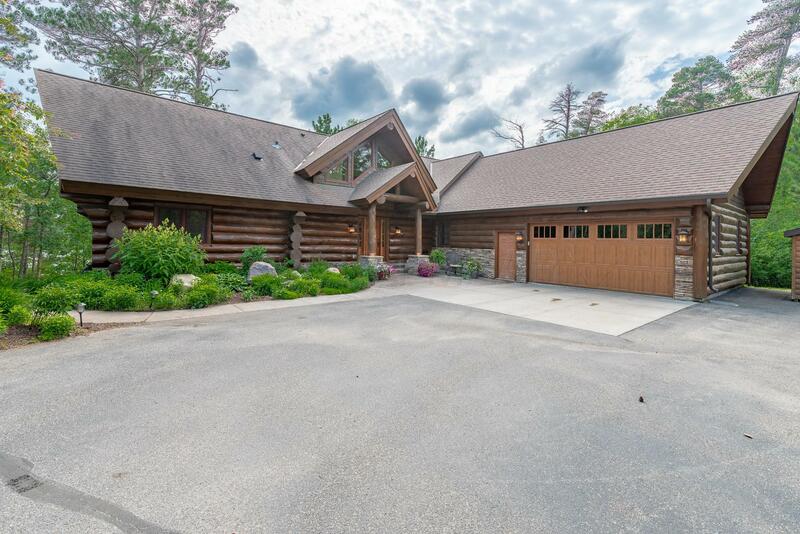 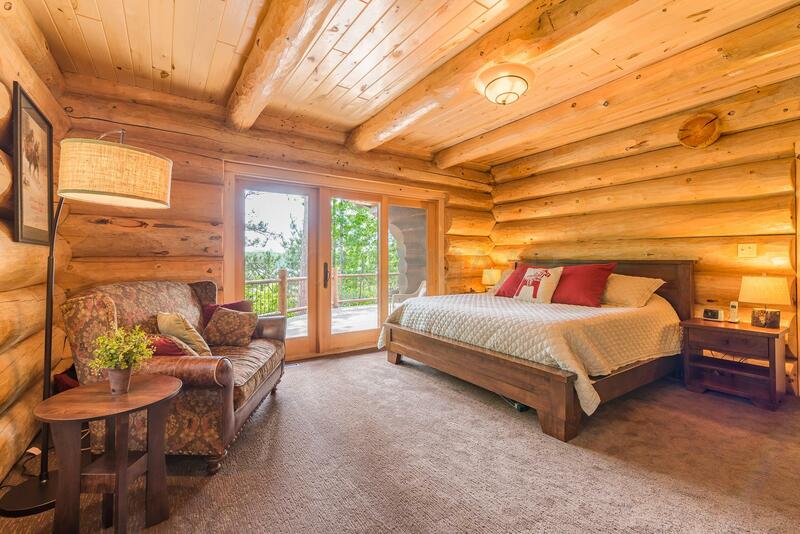 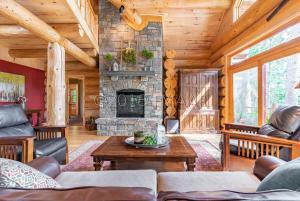 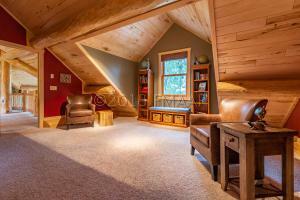 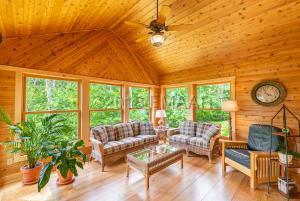 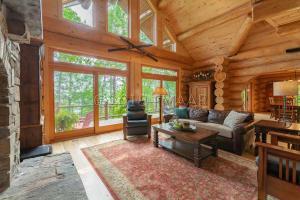 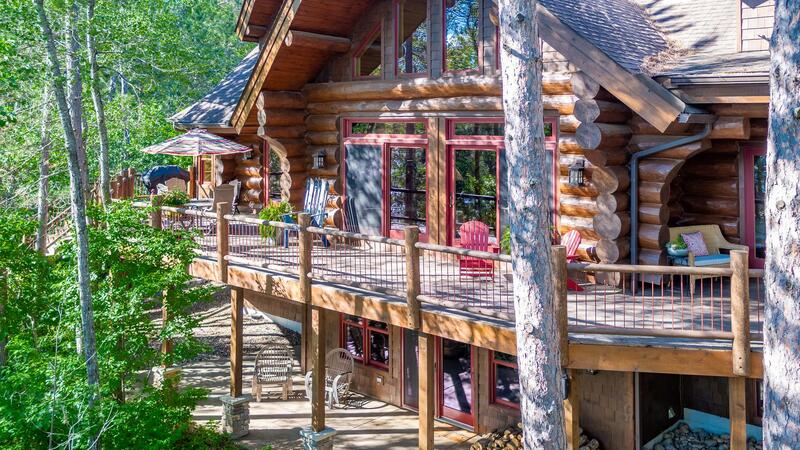 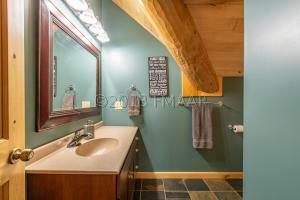 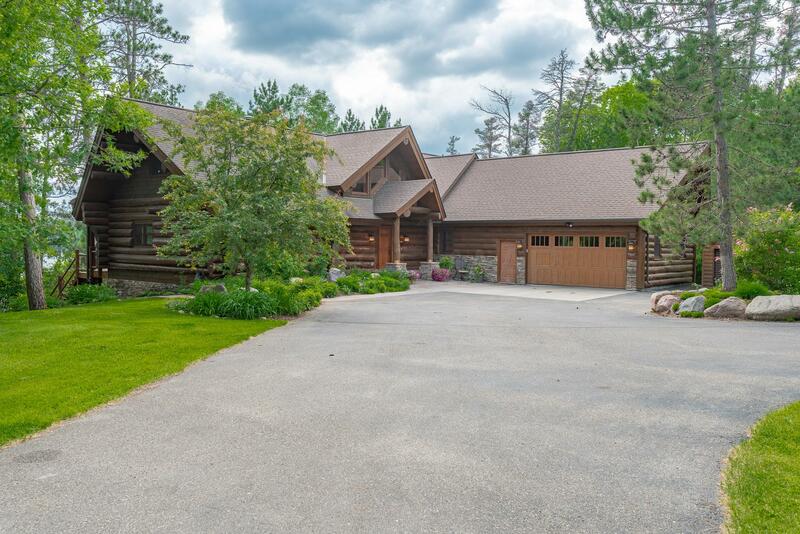 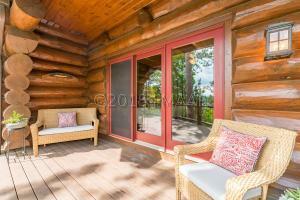 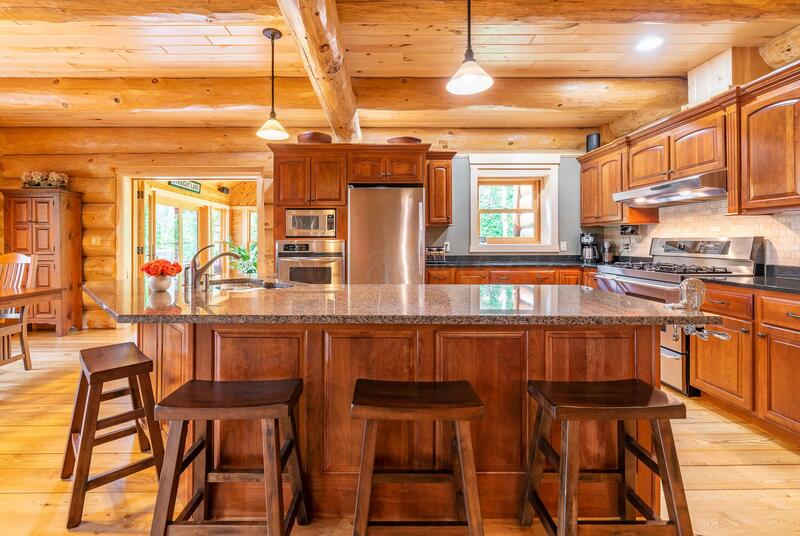 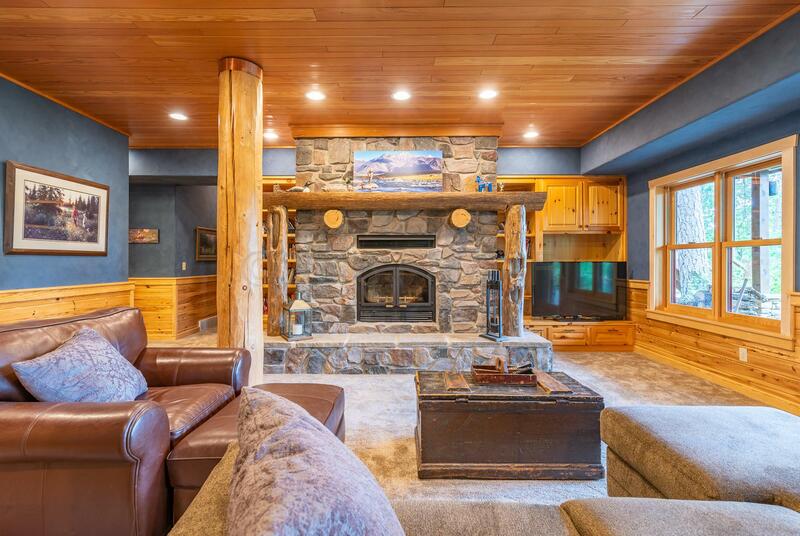 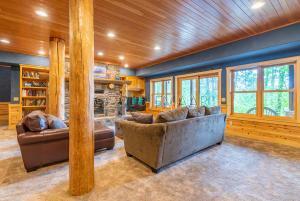 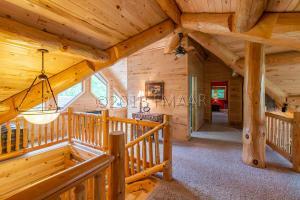 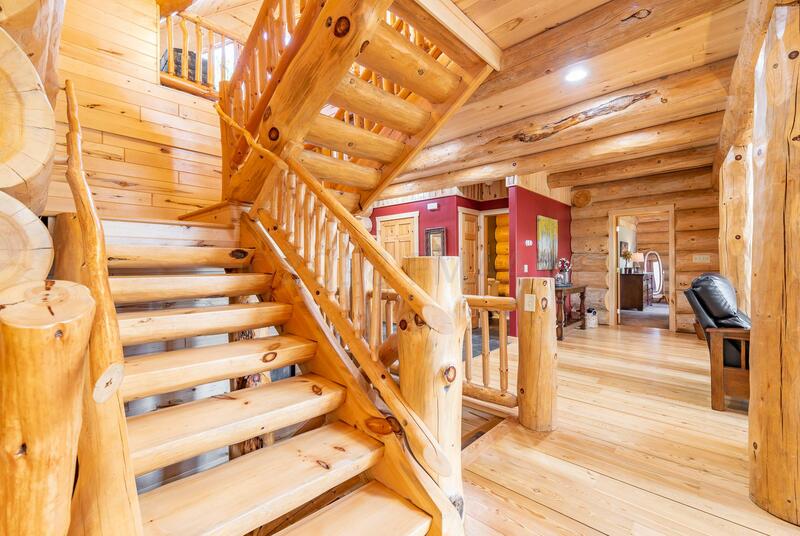 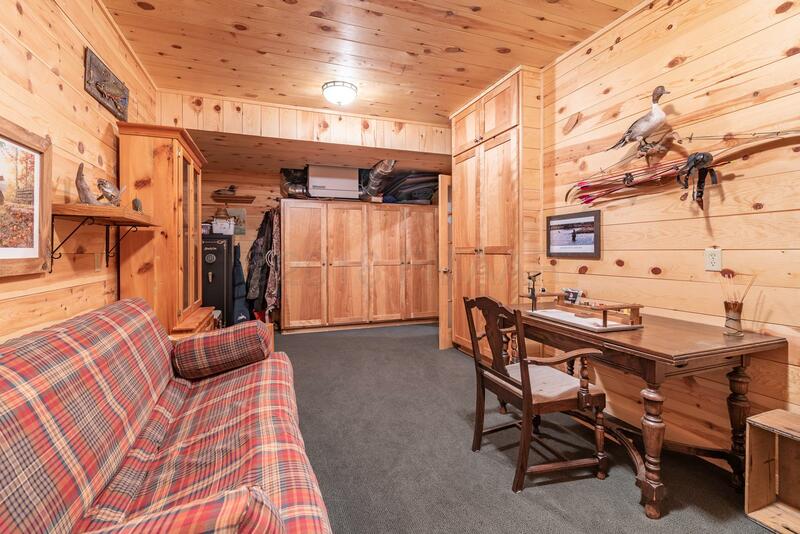 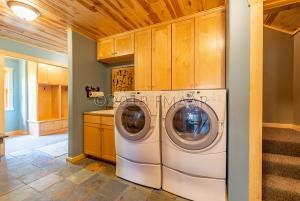 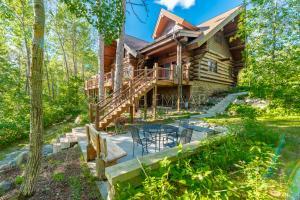 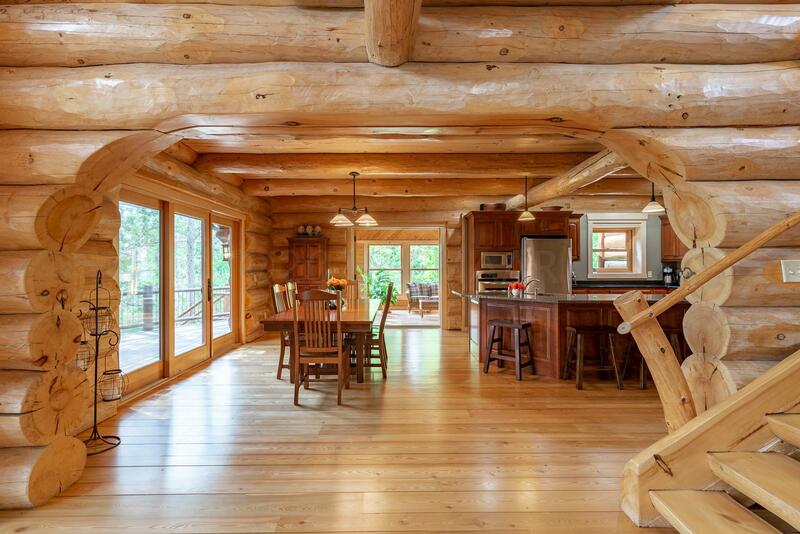 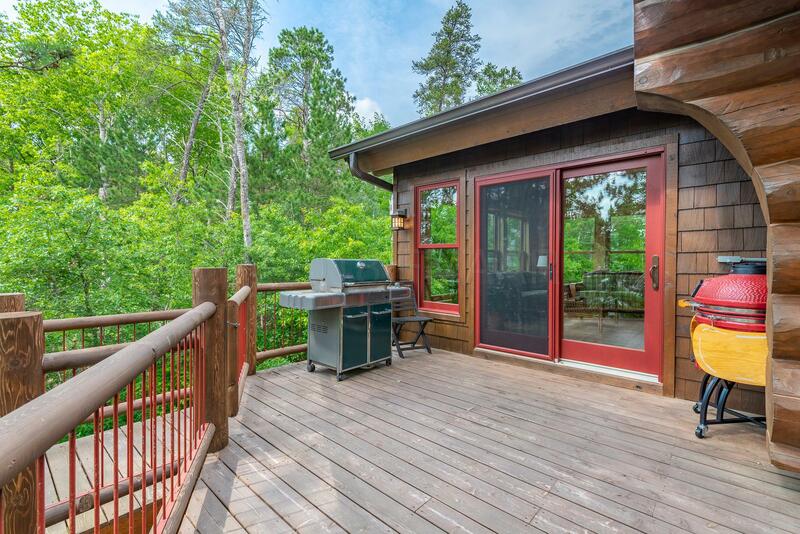 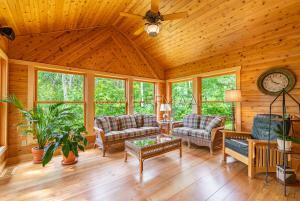 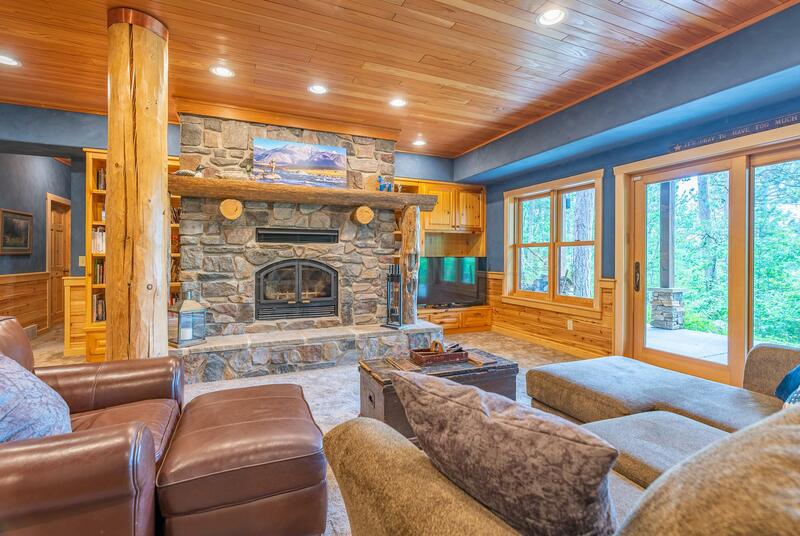 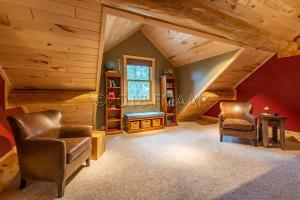 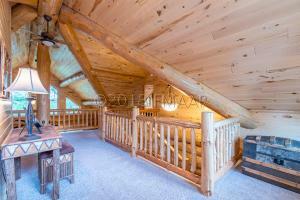 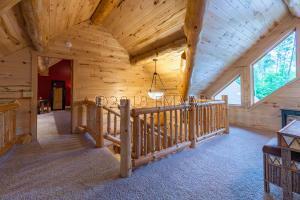 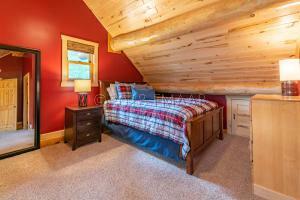 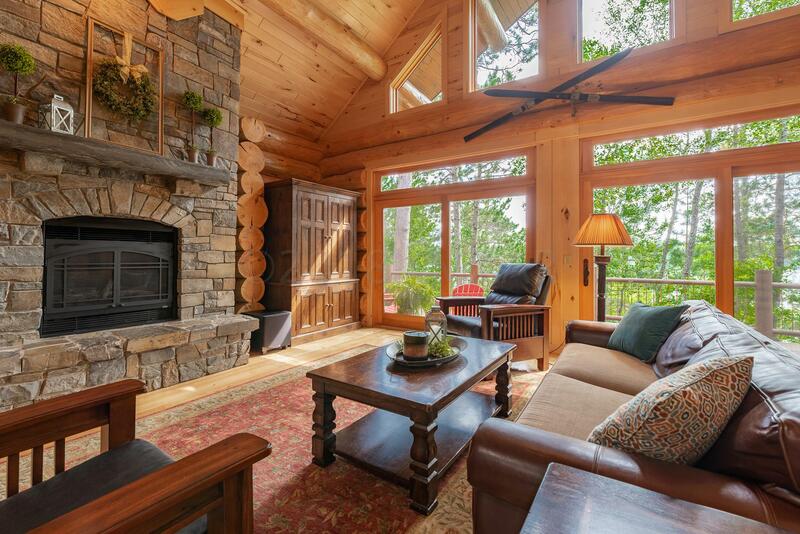 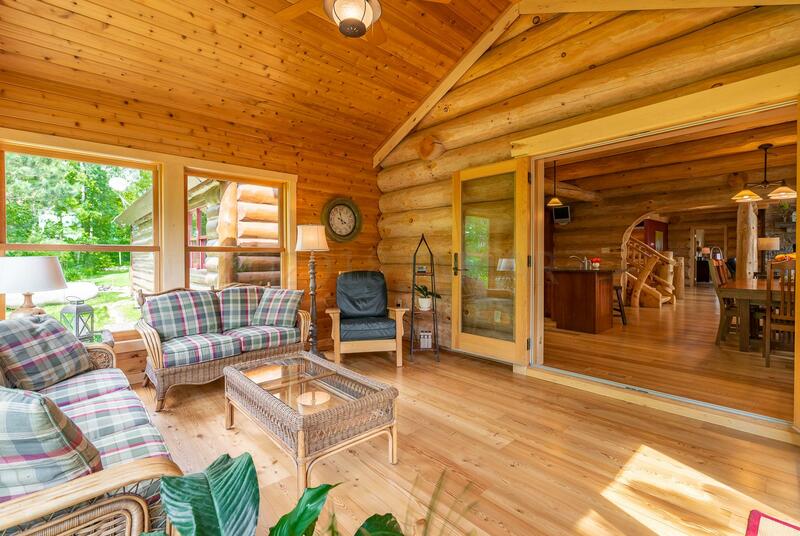 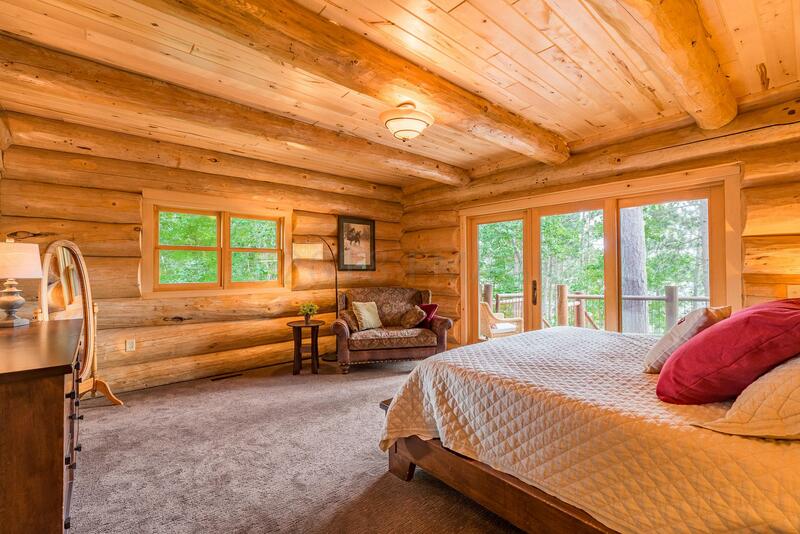 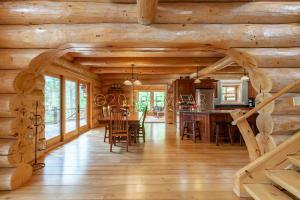 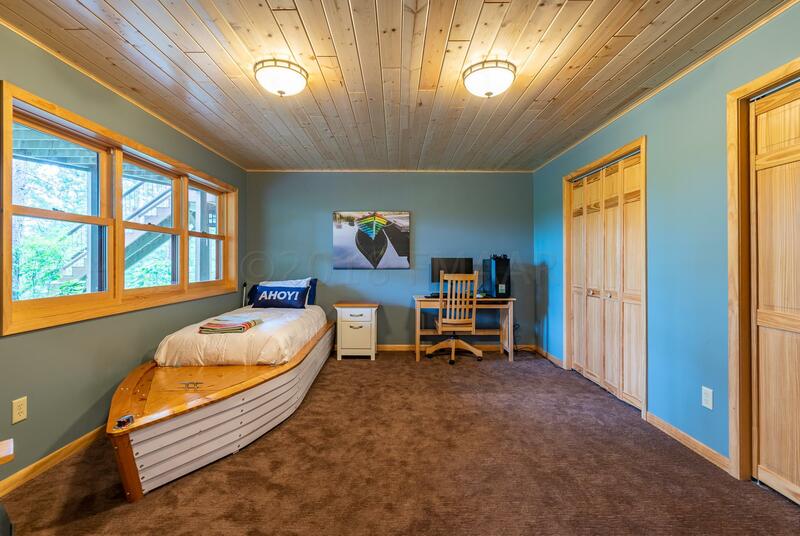 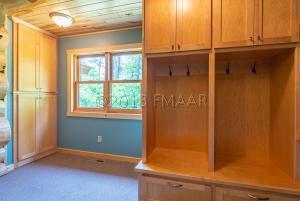 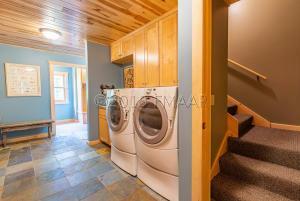 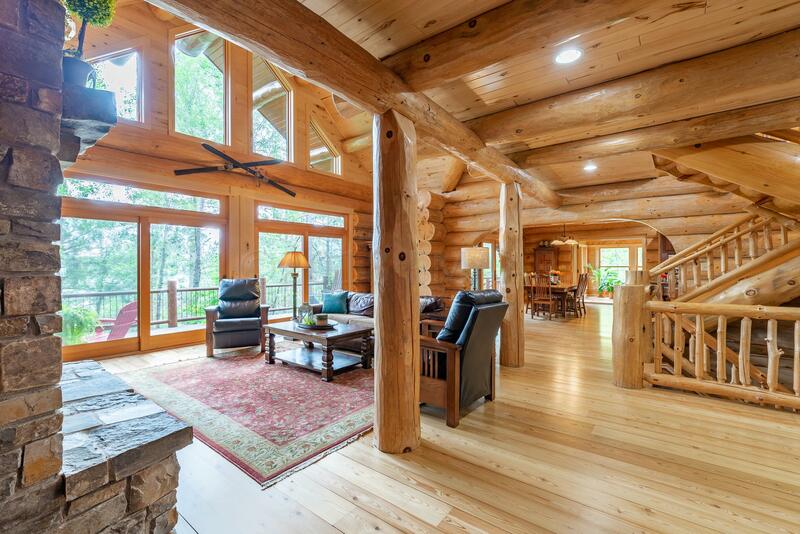 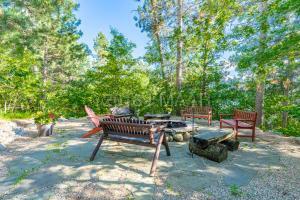 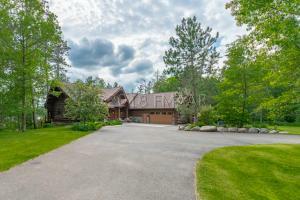 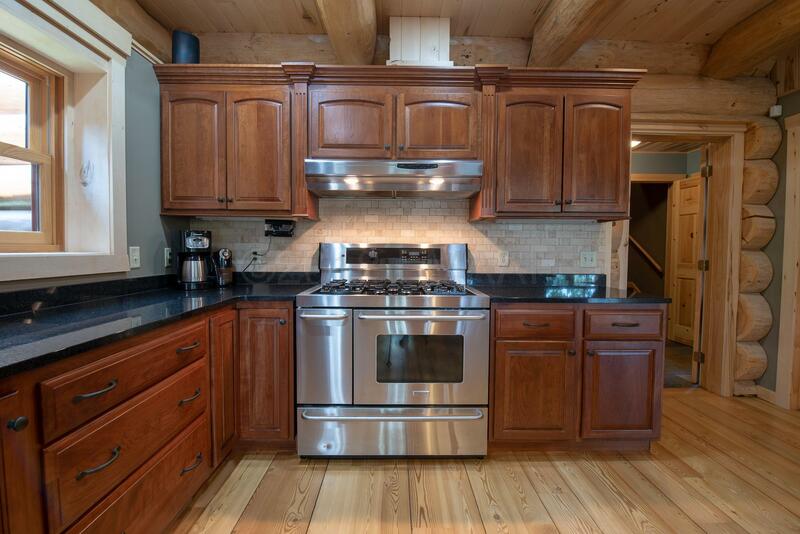 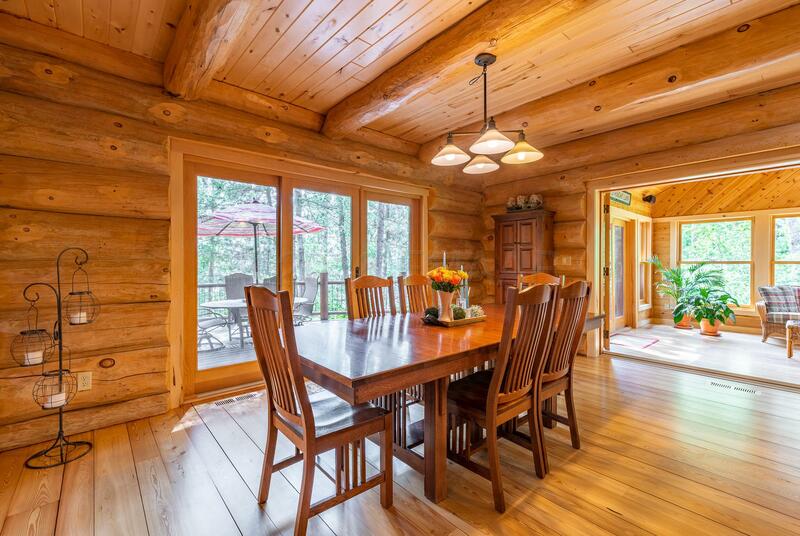 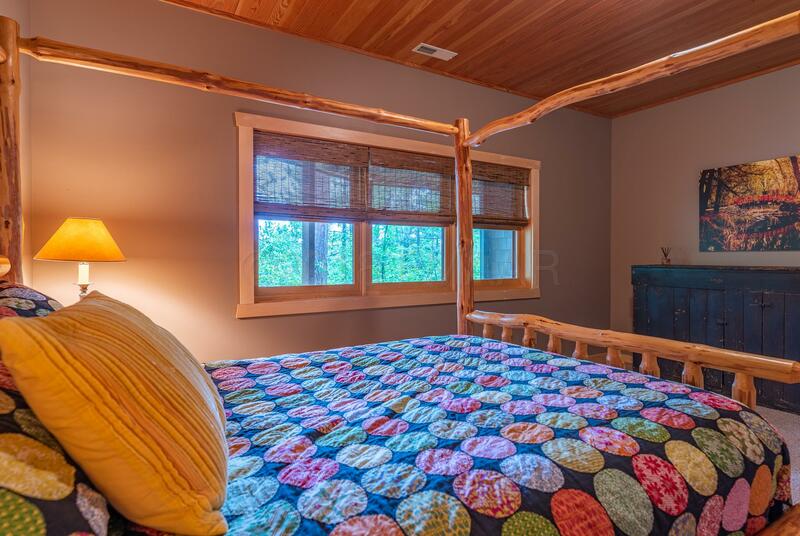 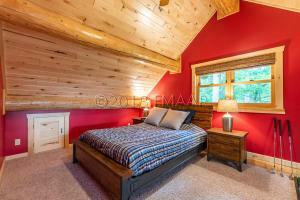 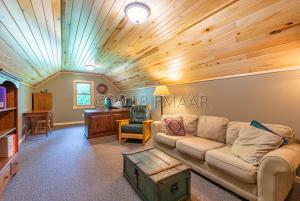 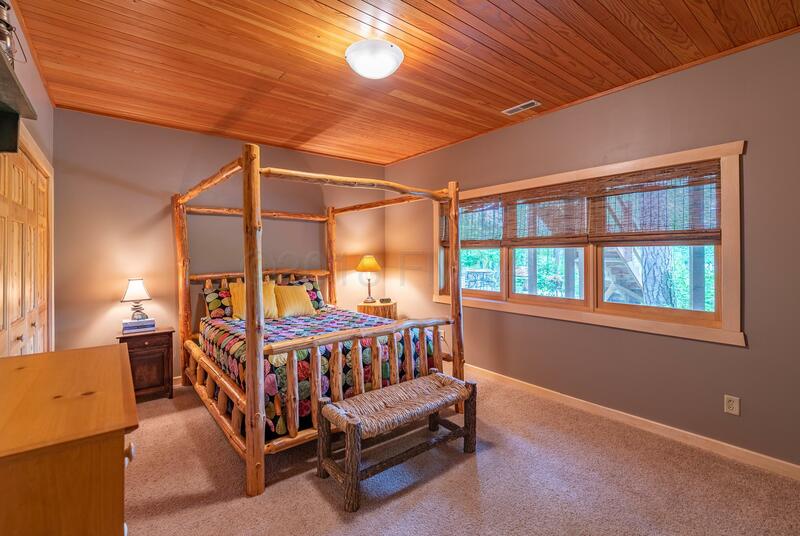 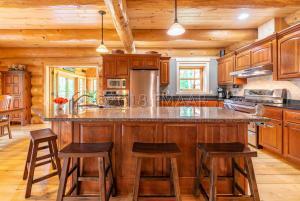 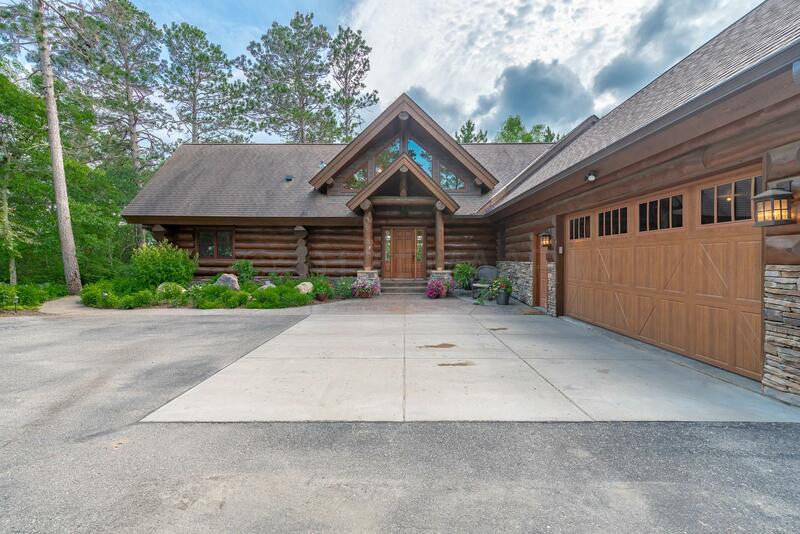 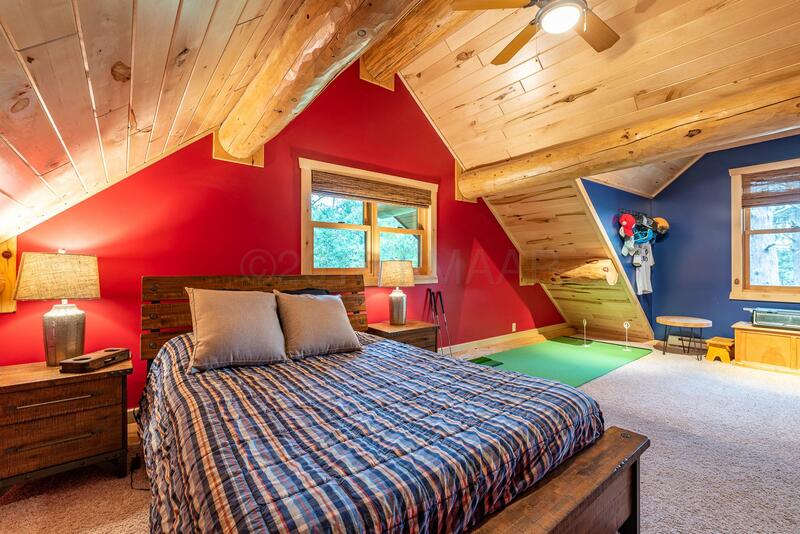 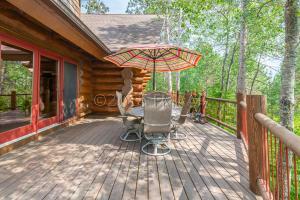 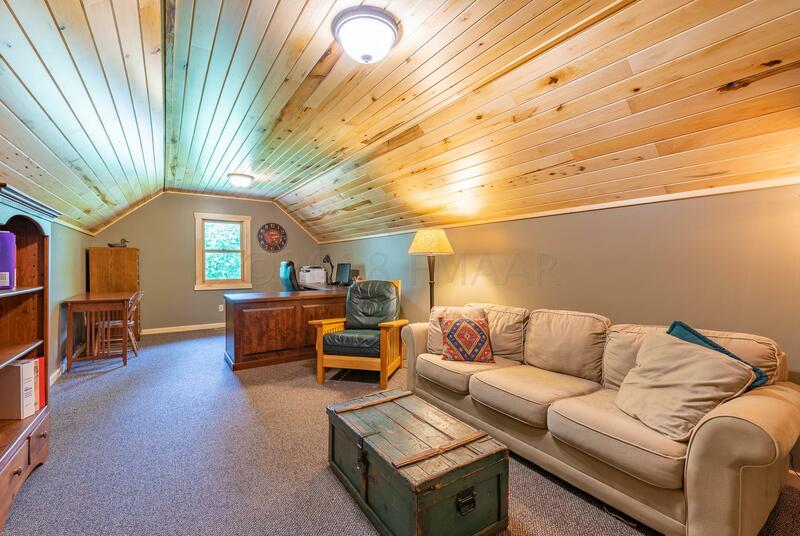 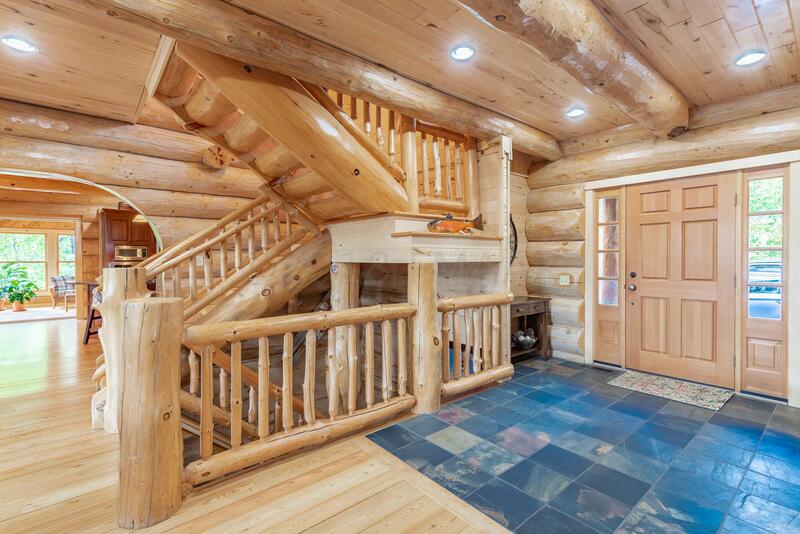 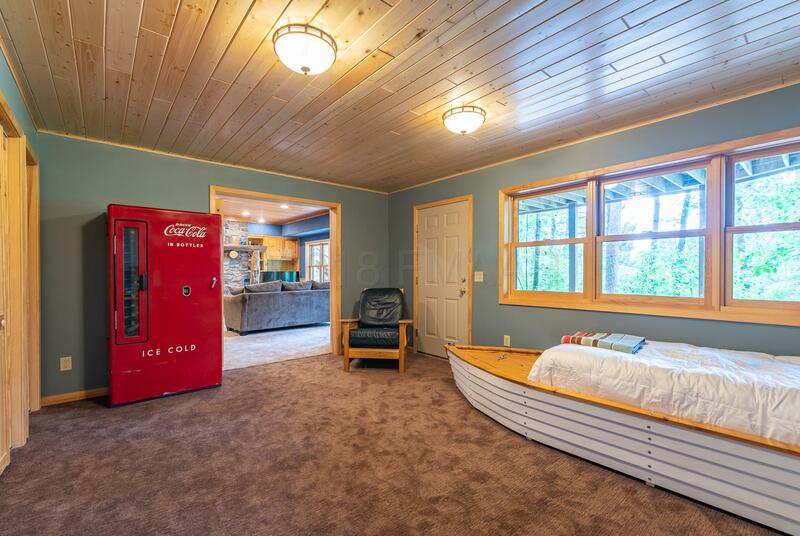 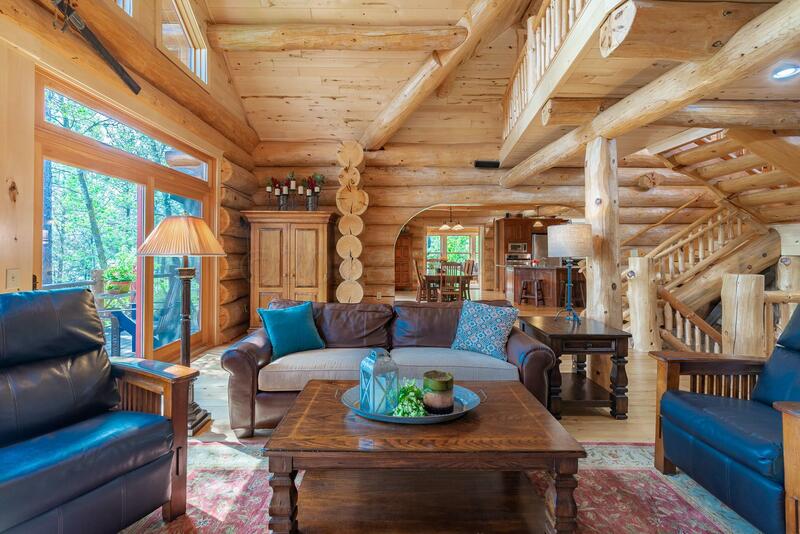 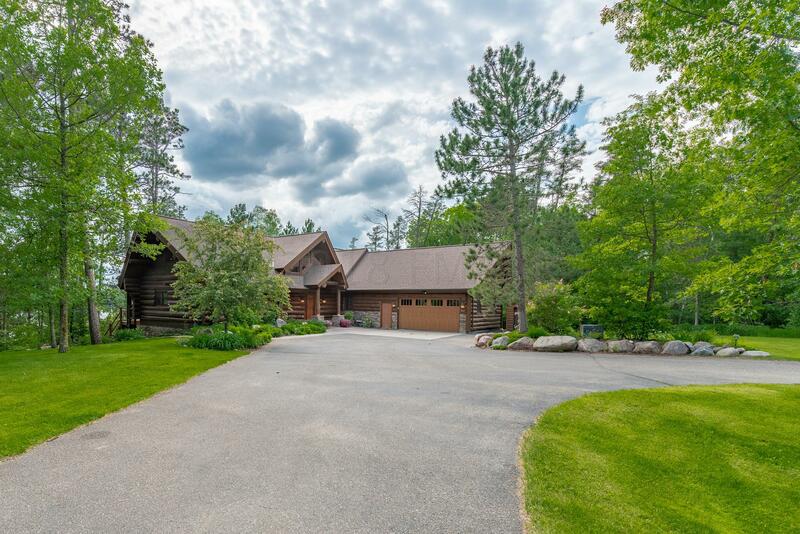 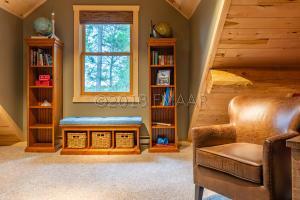 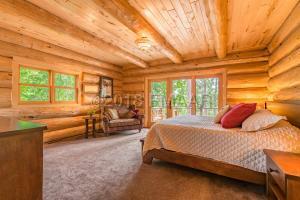 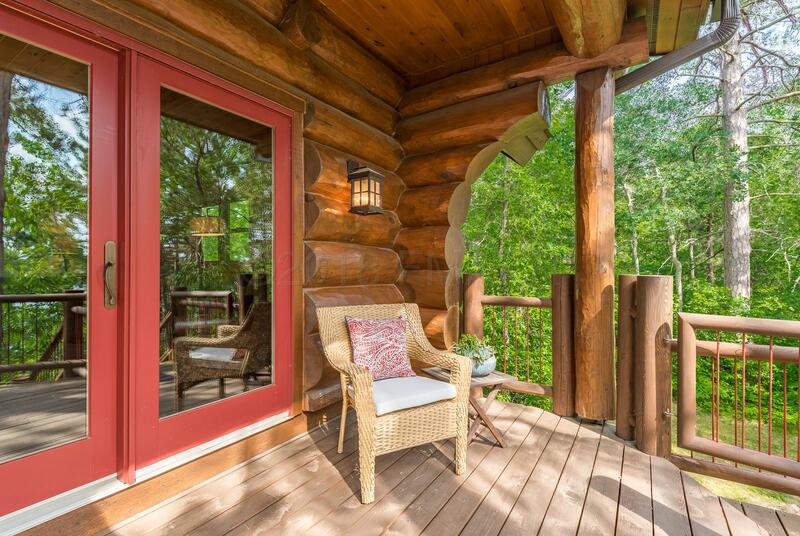 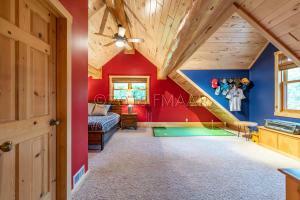 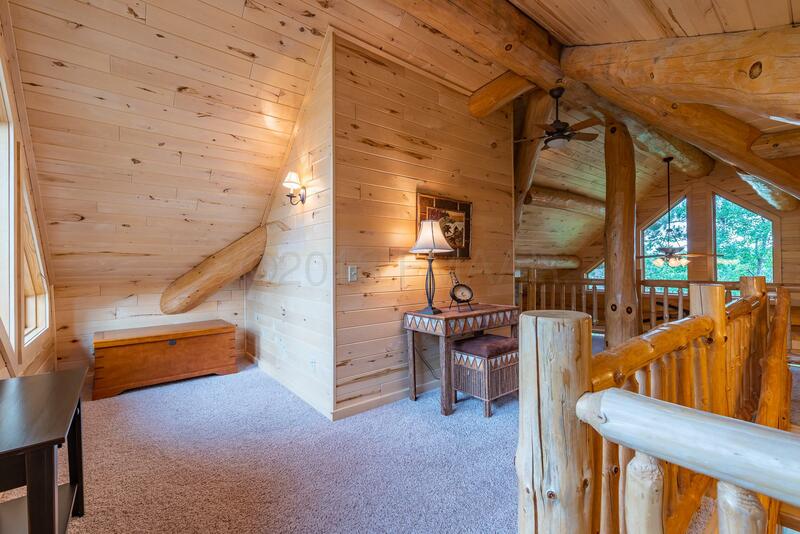 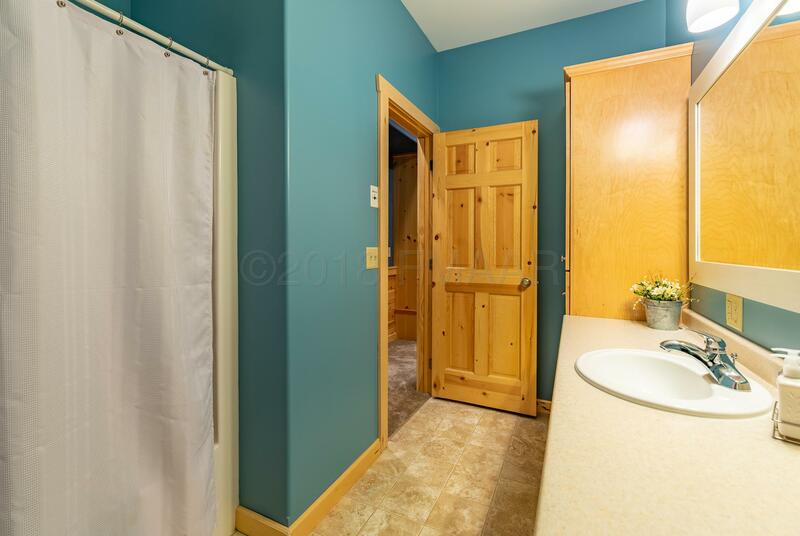 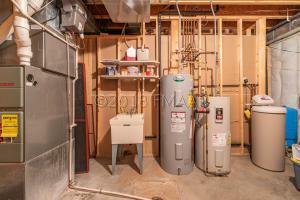 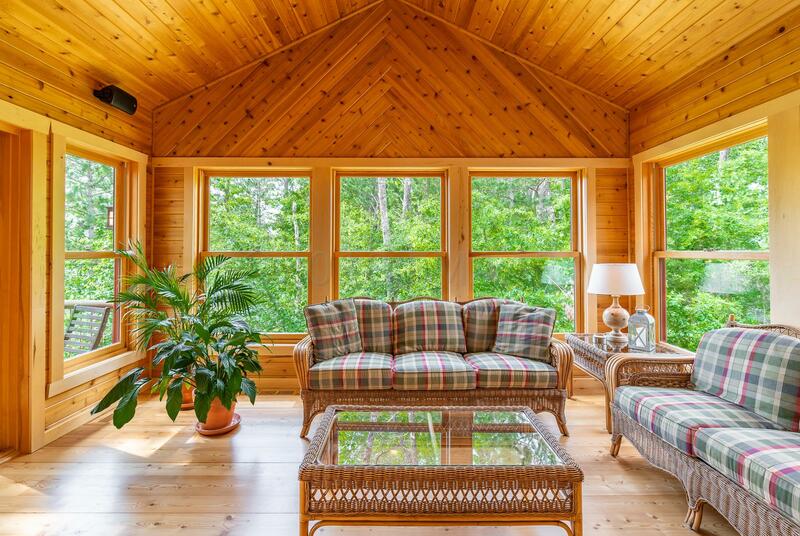 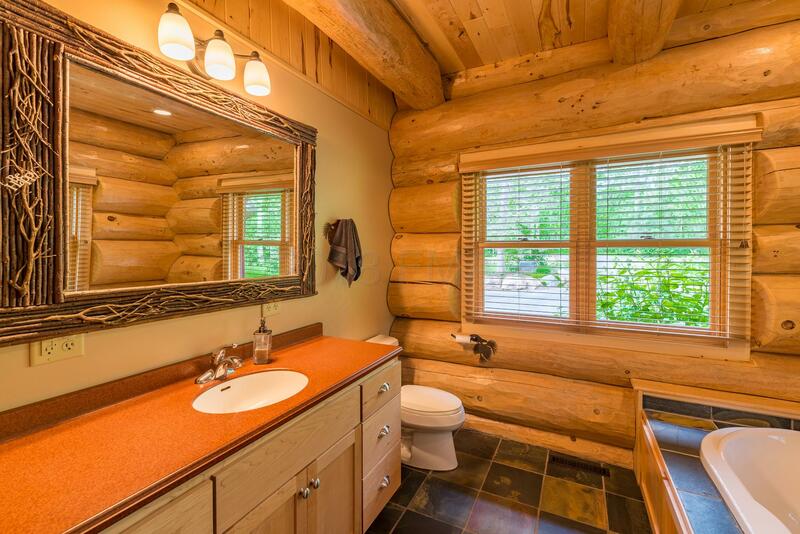 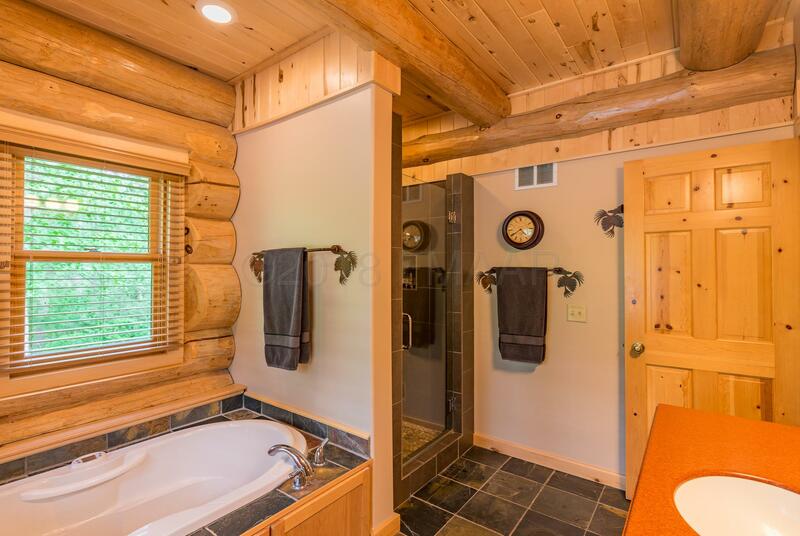 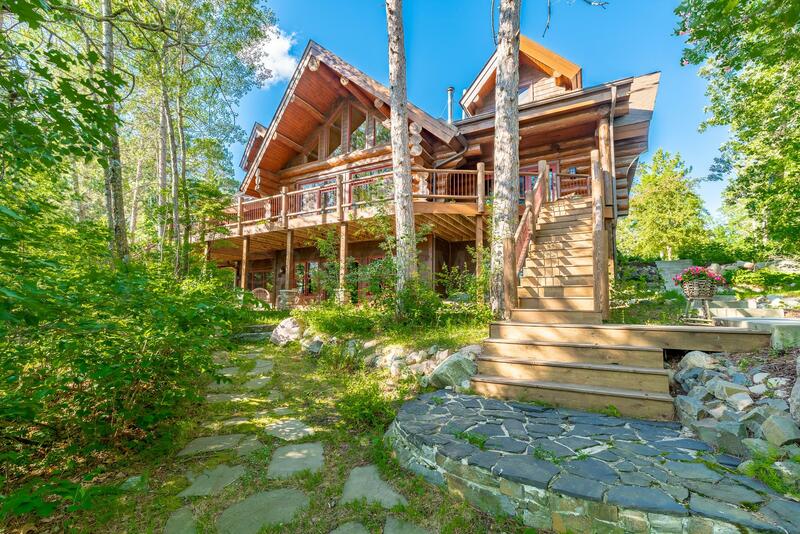 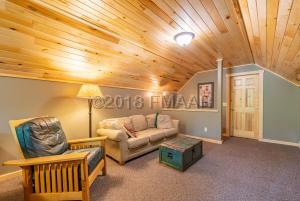 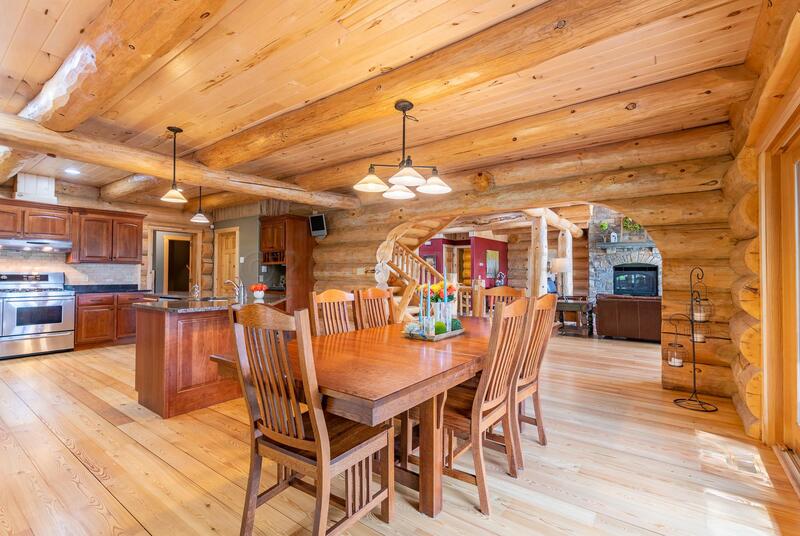 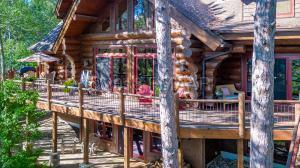 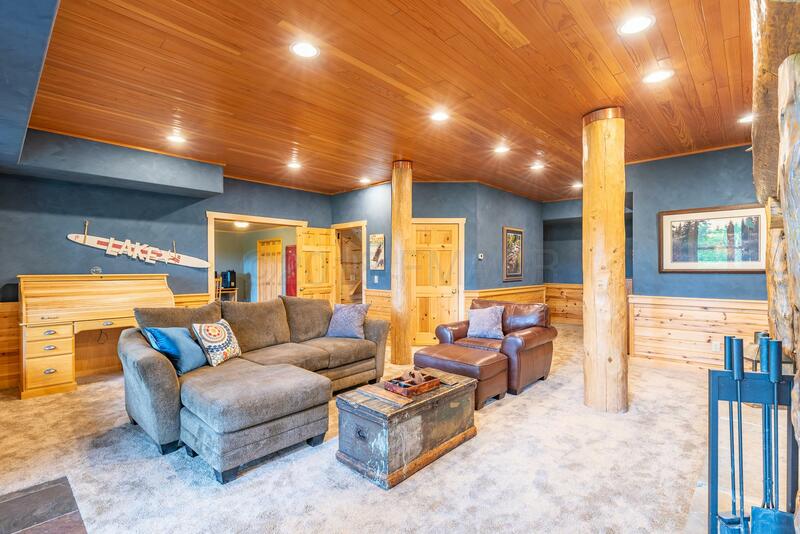 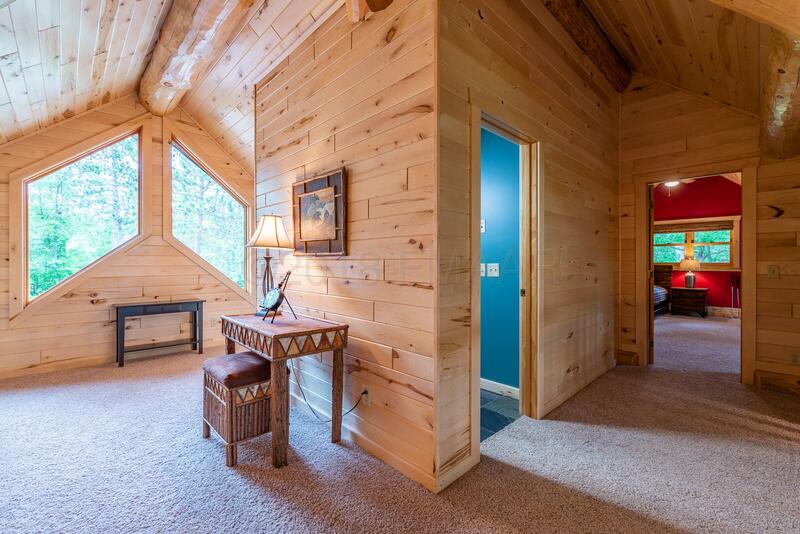 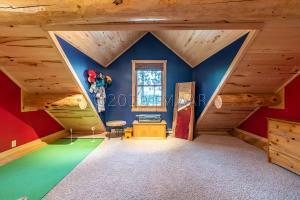 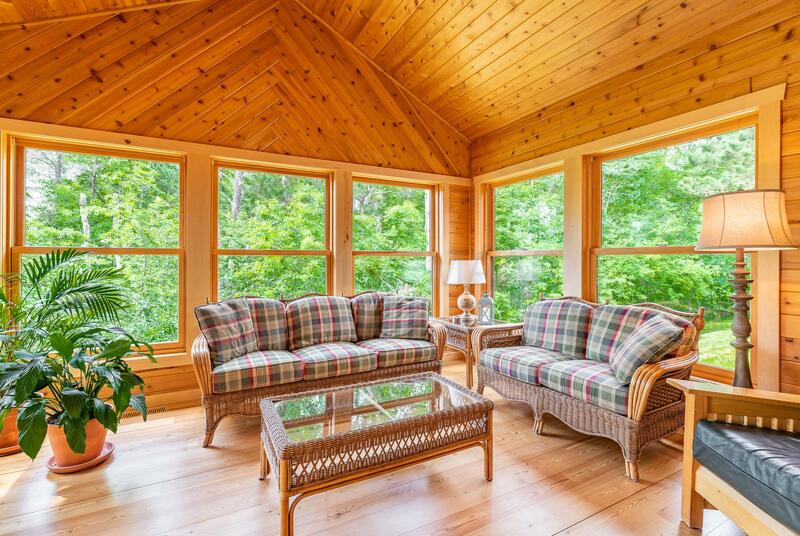 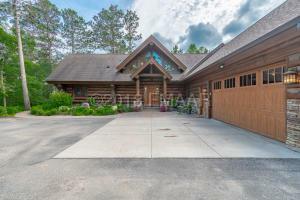 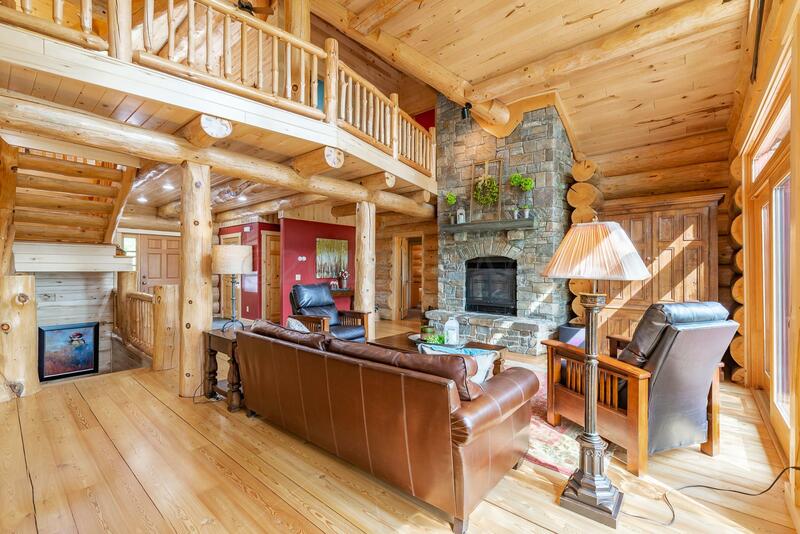 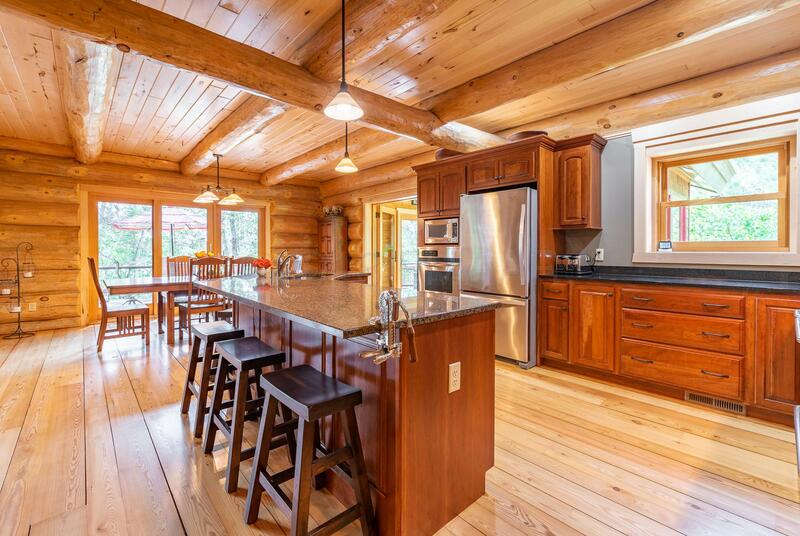 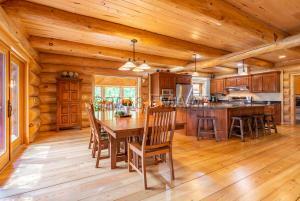 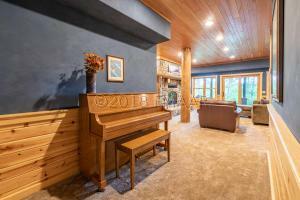 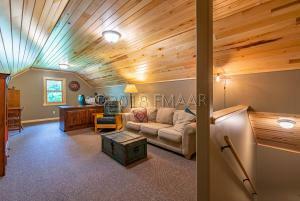 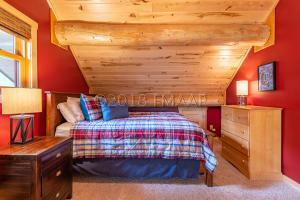 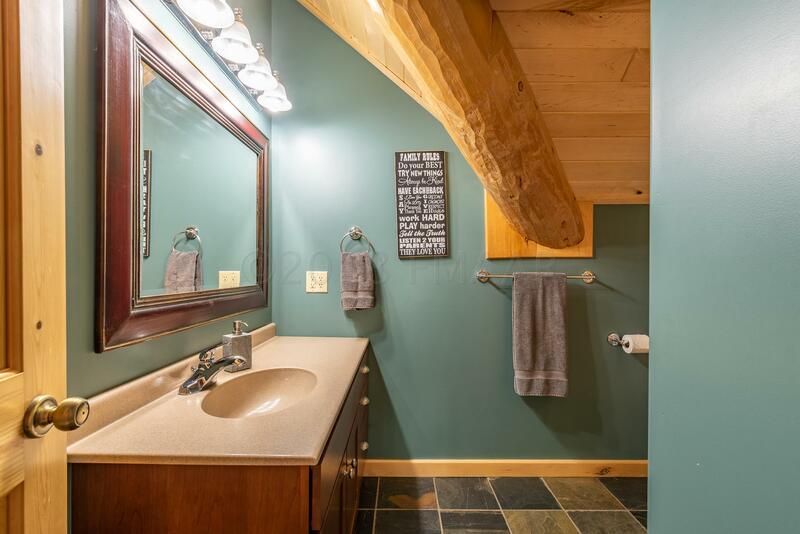 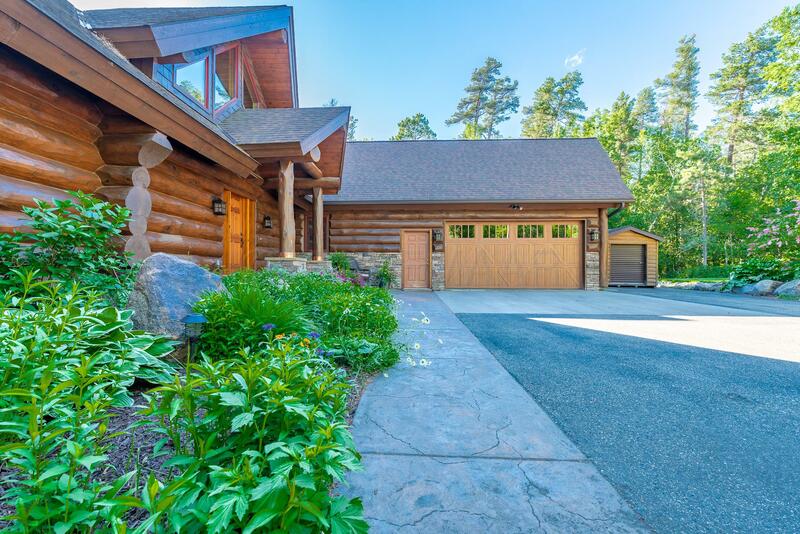 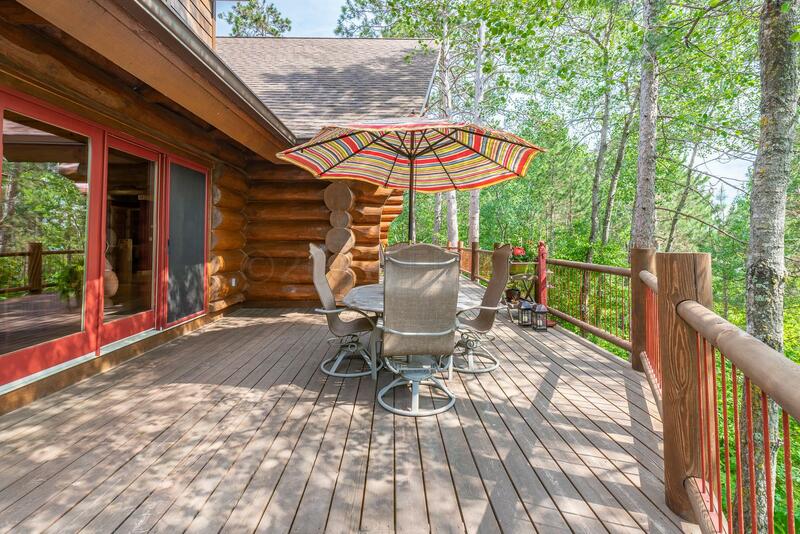 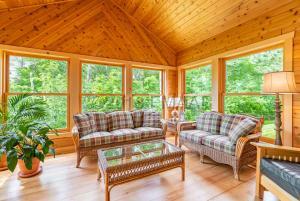 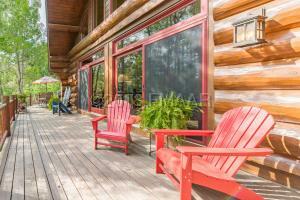 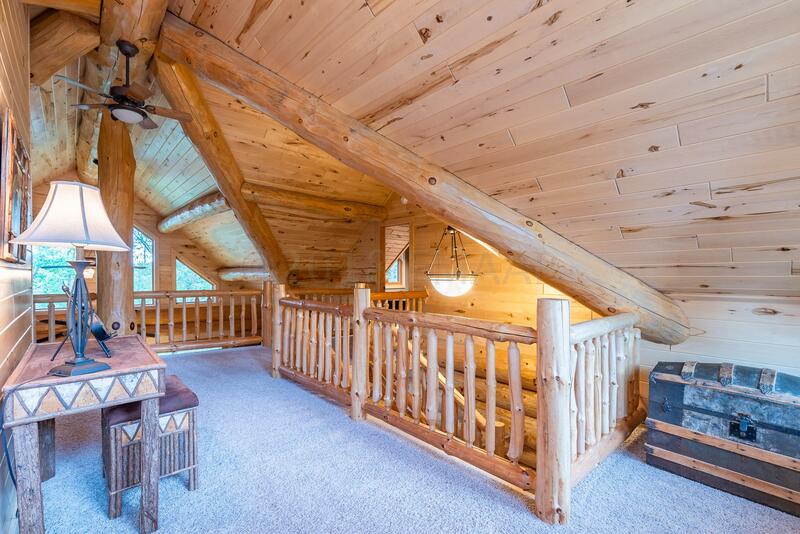 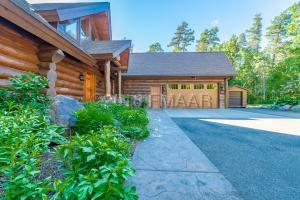 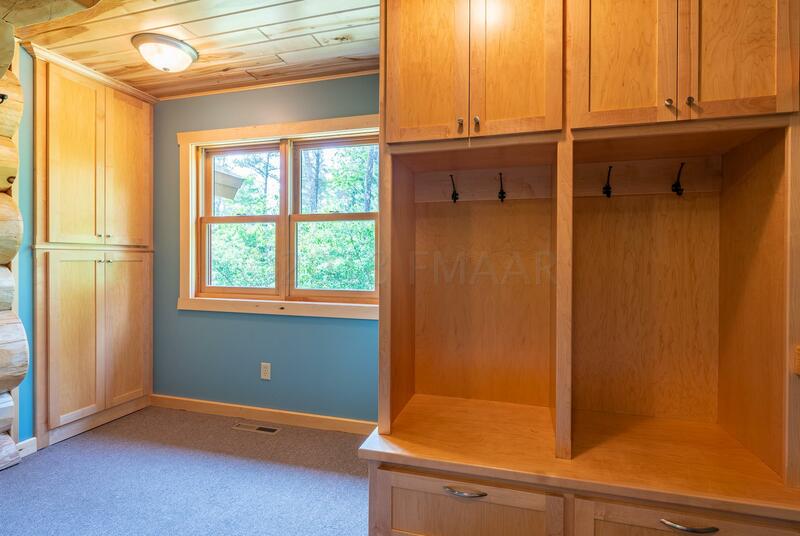 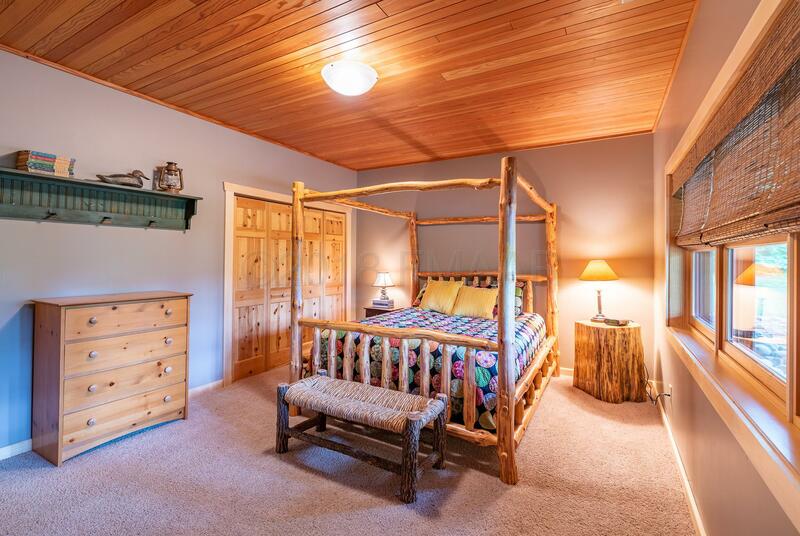 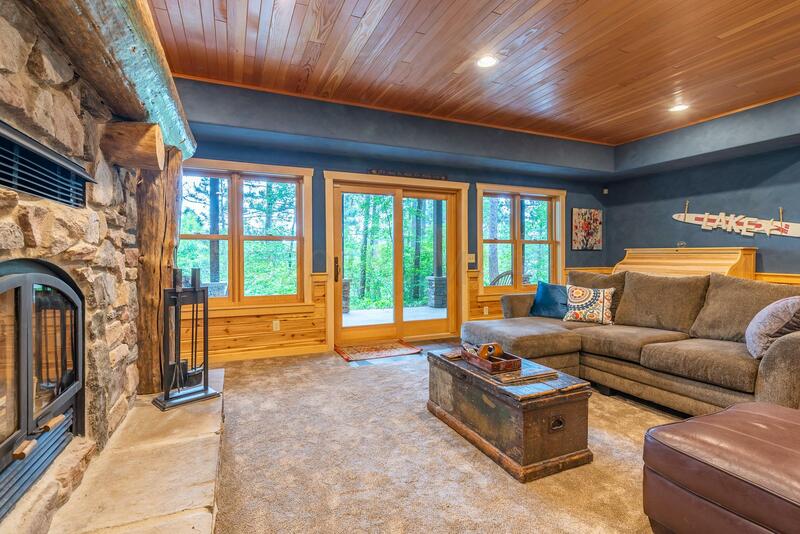 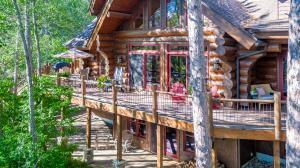 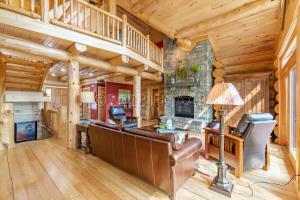 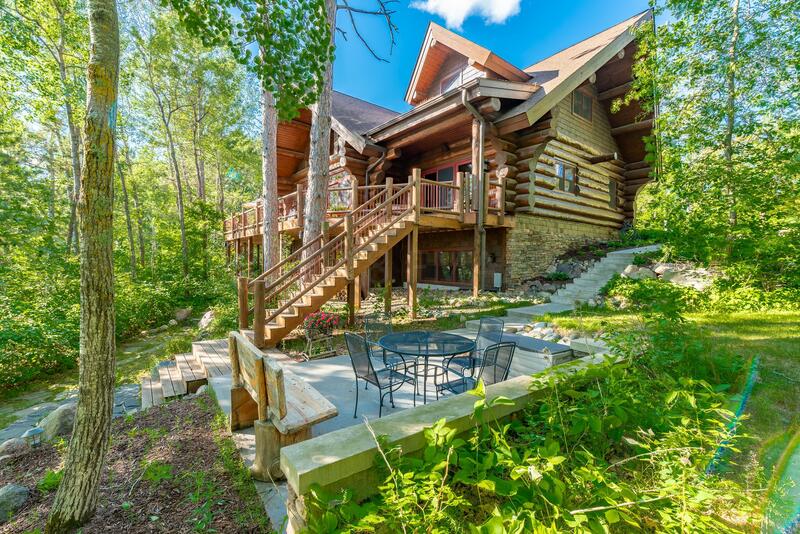 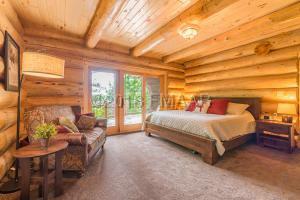 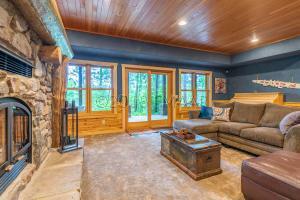 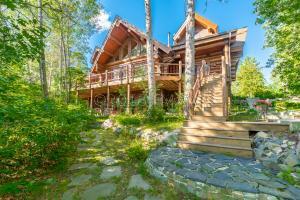 When you dream about the perfect North Woods MN log lake home this is exactly what comes to mind. 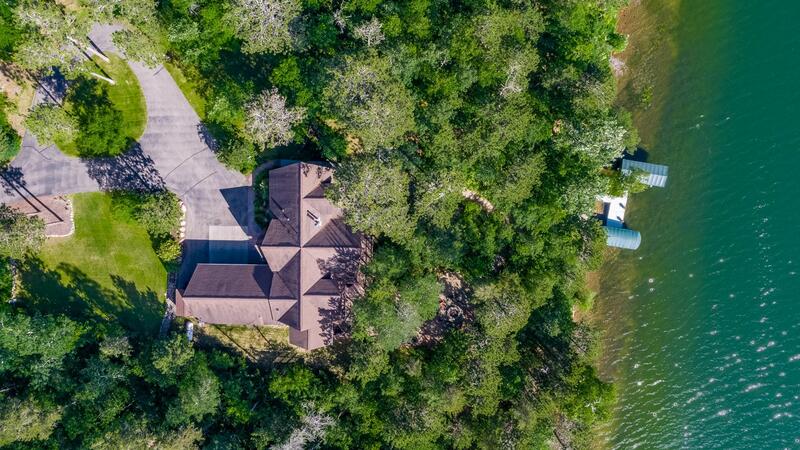 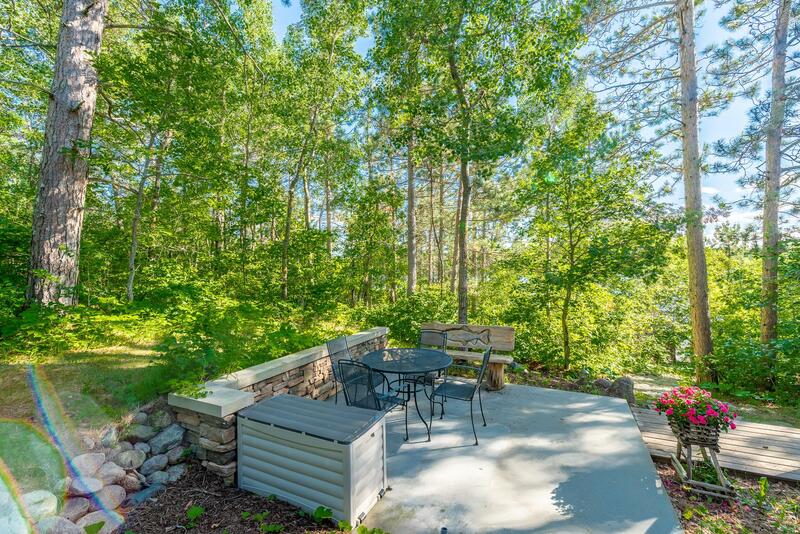 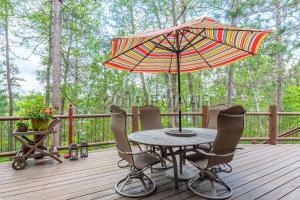 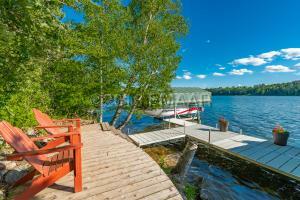 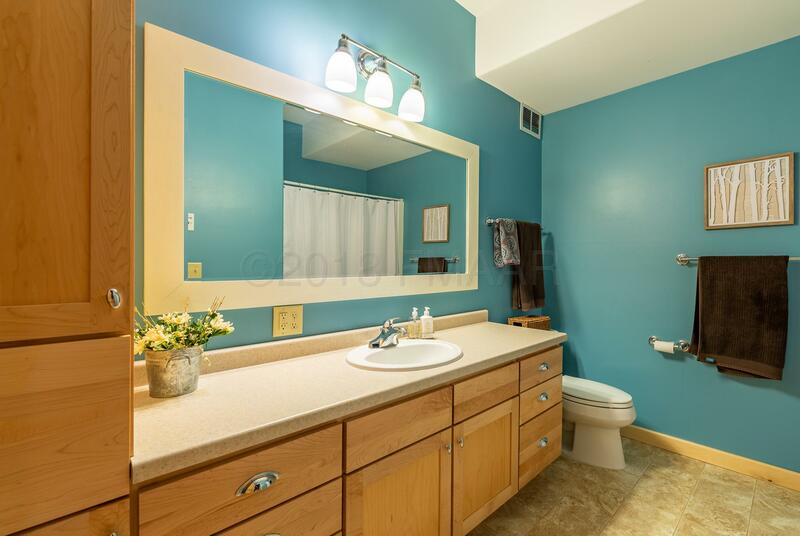 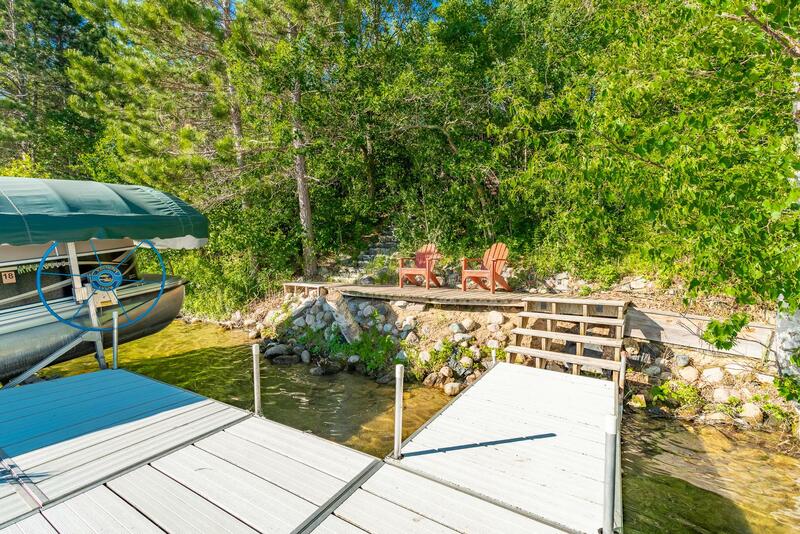 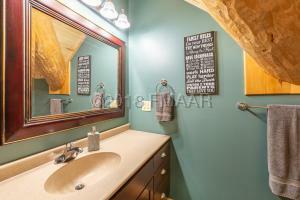 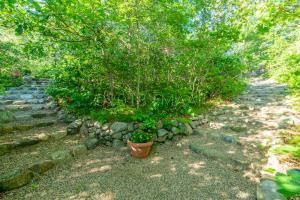 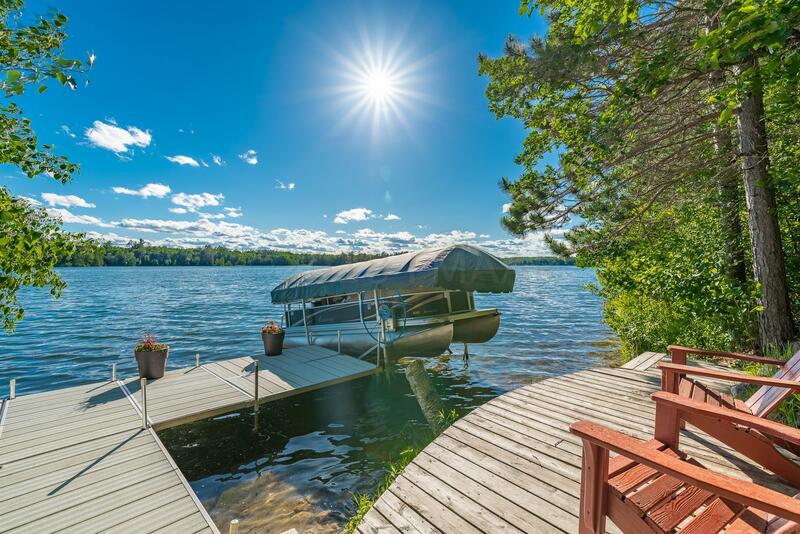 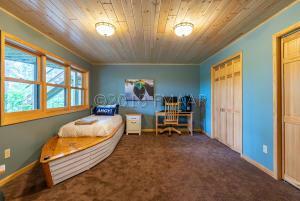 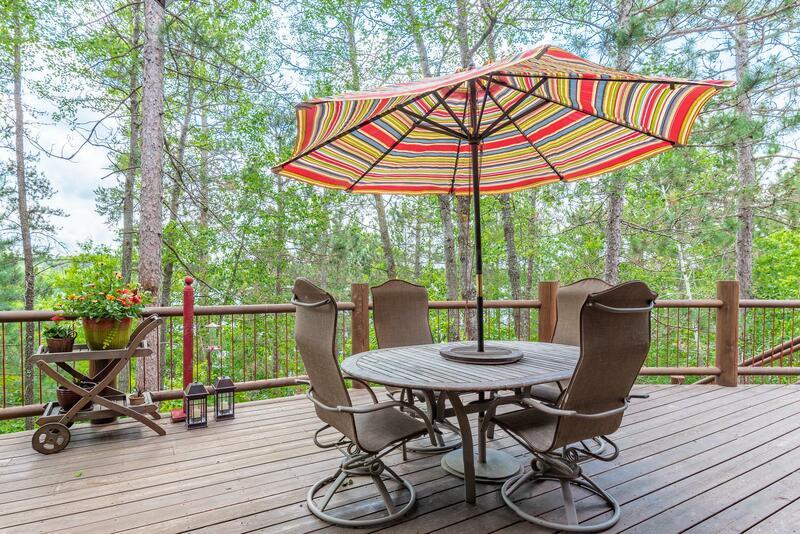 With 3.3 acres and 364 ft of lake front, this master piece is located on beautiful & clean Straight Lake. 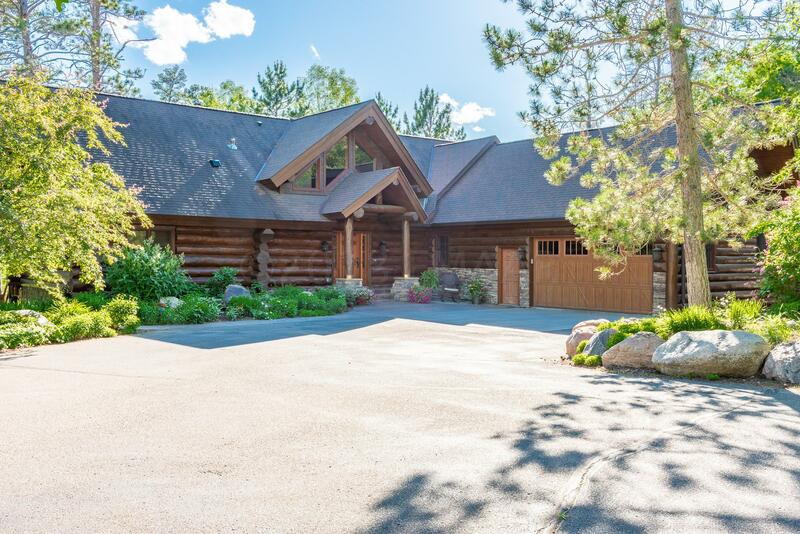 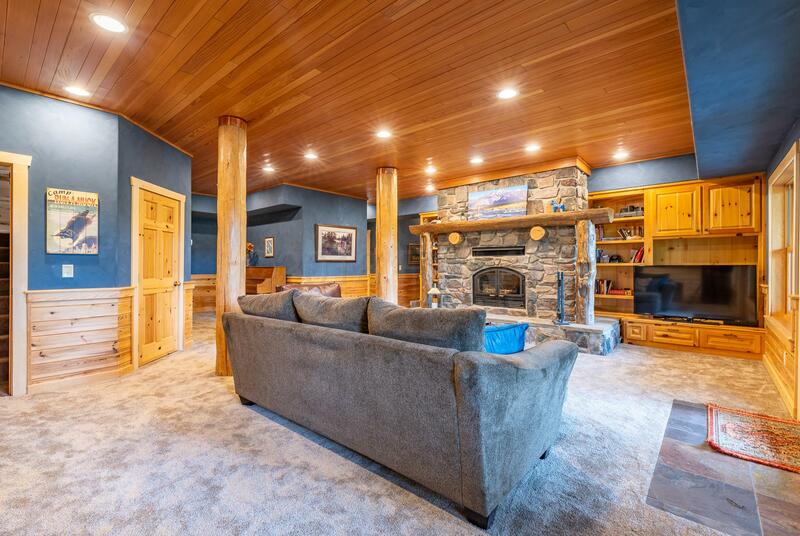 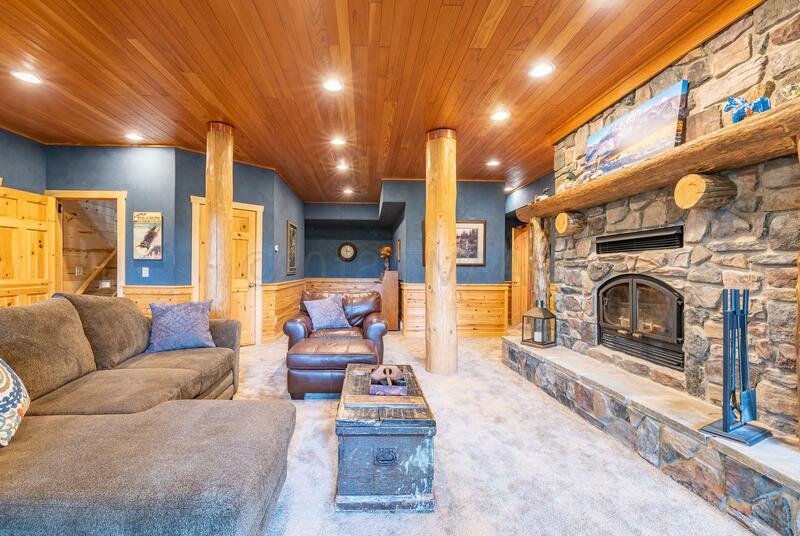 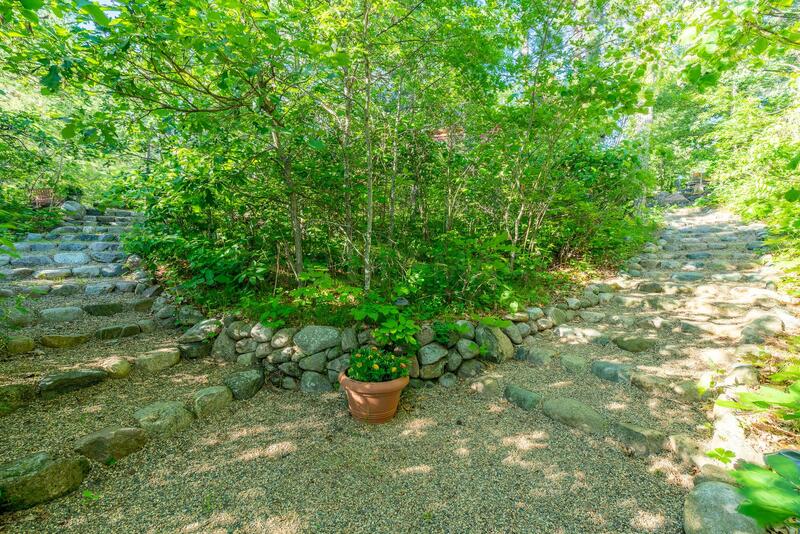 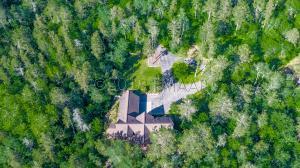 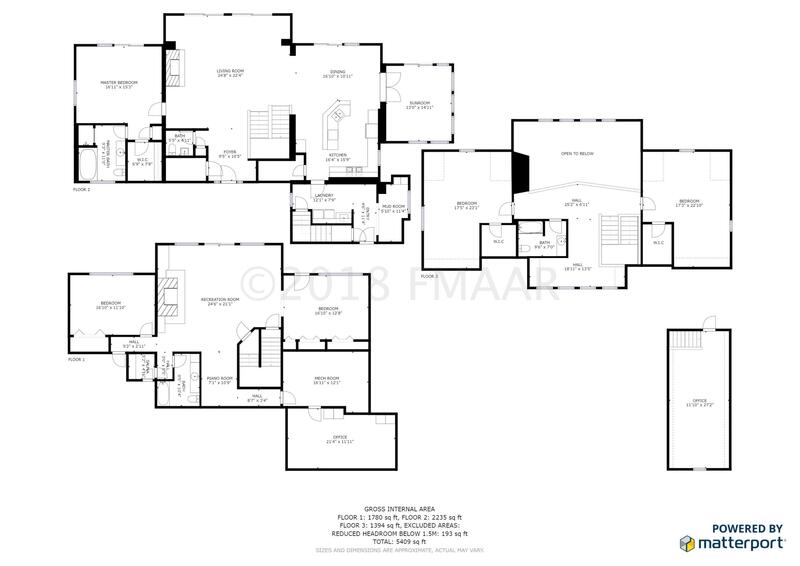 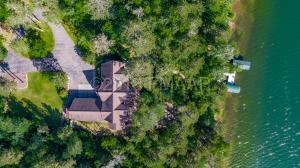 This end of the road property is very private and features a well appointed 5600+ ft. 5 bedroom, 4 bath home with large open living spaces that are perfect for entertaining. 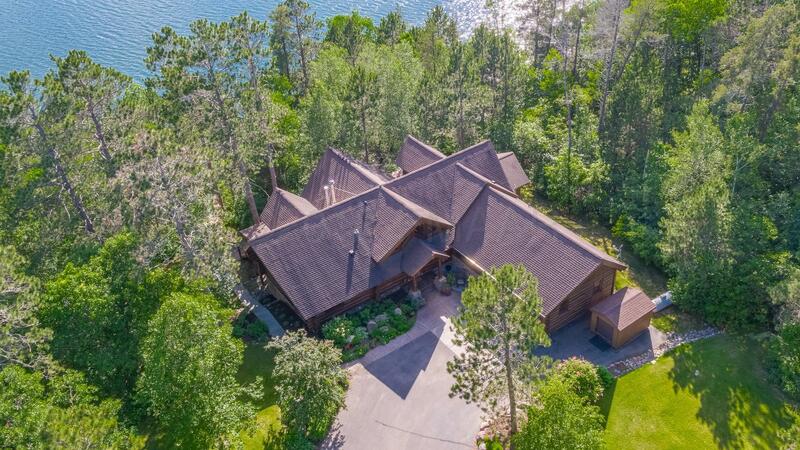 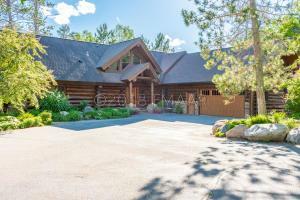 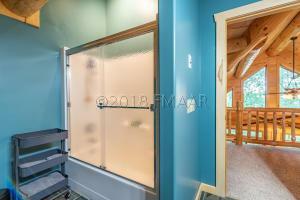 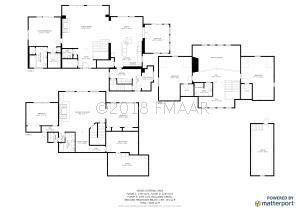 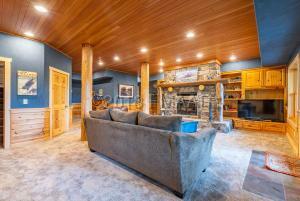 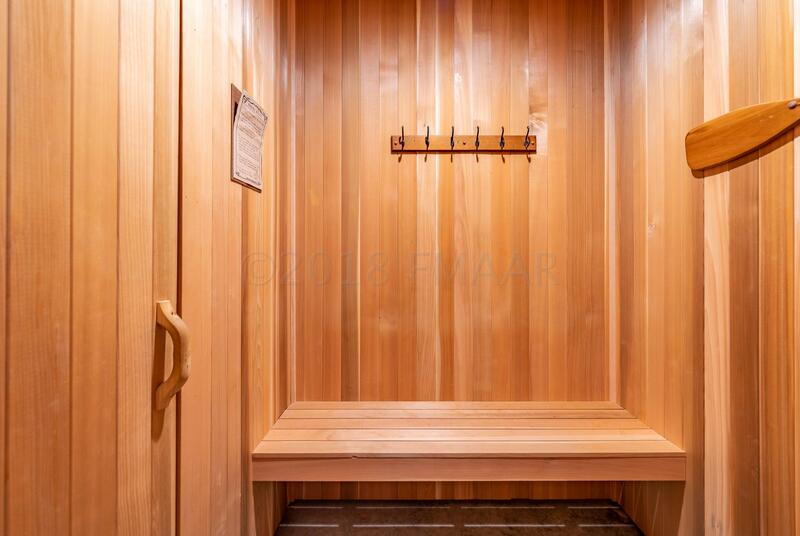 High end finishes are what you would expect throughout along with a huge lakeside deck, wood and gas fireplaces, sauna, gourmet kitchen, master suite and a 1040 sq. ft steel building to store all of your lake toys and boats.